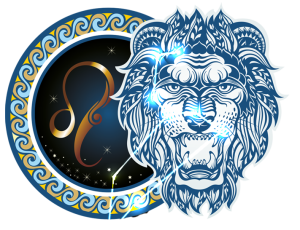 Leo (23 July – 22 August) is symbolized by the lion, reflecting the power and nobility of the sign. Leo often called the big boss of the zodiac, is notoriously known for its energy and self-confidence. Leo is ruled by the Sun plus it is a Fire sign and with that, comes a fiery personality and temperament. Leos are natural leaders, they are energetic, passionate and loving. Let’s see what else makes the Leo the best sign of the zodiac? Just like lions, that fight for their pride and loyal to the other members of the group, Leos are also extremely loyal. They won’t ever back-stab you if they take a liking in you. Leo-born people appreciate their friends and will be a true-hearted support. If a Leo decides you are in his or her ‘herd’ they will stand by you no matter what. These trustworthy individuals make excellent friends in this brutal, back-stabbing world. One of the best traits of Leo is his/her confidence. They have high self-respect and they always stand up for what they believe in, even if the whole world is against them. They have a strong self-image which they always protect. If you need some encouragement from a friend, you can count on the Leo. They know what’s best for their loved ones, and they use their own life lessons to guide others through theirs. Leos always find the bright side of life, they are courageous and optimistic individuals. They hardly ever need support and comforting form others. They have the strength and positive approach to find the good in every situation. Born in the middle of summer, when life is warm and carefree, they have a cheerful and enthusiastic personality. With their inner strength and courage Leos are natural born leaders. It’s a quality most people respect and many desire to possess. For the Leo-born people it comes effortlessly. They just know what they want and have a great sense of how to make it happen. You can count on your Leo friend, whether if it’s about arranging a birthday party or a holiday, they will make it happen. They are fierce and efficient. Leos are highly ambitious, they know why they came into this world more than anyone else. When a Leo puts her mind to something, there’s nothing that can stop her. Leo is action-oriented and they like to set their personal goals. Leo’s ambition and determination is received well by their friends, and can be almost contagious. Everybody needs a friend who is straightforward and outspoken. A Leo will always let you know – when asked – what she thinks about your love life or your outfit. Leo is brutally honest, which is a great advantage. You will always know where you stand with them. They are warm-hearted and they want the best for everyone around them. Leos are known for their brave heart, passion and courage. They live their lives to the fullest, always putting 100 percent into everything they do, especially when it comes to relationships. The element of Leo is Fire, hence the huge amount of excitement and high energy. Leos playful, open and childlike spirit, is the key to their creativity. You might not feel utterly creative, if you are not great in music, painting or writing but creativity means an approach too, rather than just an activity. If you are a Leo-born, you are able to create something that wasn’t there before you are able to think outside the box. Being so confident and supportive, Leo has the wonderful ability to really encourage and inspire their friends and family. They want others – especially the closest ones – to have drive toward achieving their own hopes and dreams. They want everyone to do what makes them happy! And if a Leo pushes you too hard, don’t take it personally. She just wants the best for you and want to see you succeed in your life. Leo is a powerful sign. They radiate energy, strength, love and optimism. If you are feeling down and need some serious motivation, no one can lift you up better than a Leo. Their energy is contagious, and their optimism always helps. They are true characters and that’s why we love them! Awesome. One if the rare few modern astrology posts to rightfully portray Leo in all of uts fierceness, courage, and strength! More modern astrologers should take a page from this and portray us like the mighty, fierce LIONS we are, not the attention-seeking, emotionally vulnerable show kitty they’re trying to tame us into. We’re the warrior-king and conqueror of the Zodiac and it’s only natural apex predators. Modern astrologers need to get their act together and use common sense when describing the mighty LION.